There have been few constants in reading life. I spent my high school years reading almost exclusively classics, college was a mash-up of fantasy and Spanish literature, and grad school was a haze of academic history. Now I’m in the land of middle grade, young adult, and science fiction and fantasy. One anchor amidst all the change? Robin McKinley. She writes books that speak to the reader, the adventurer, the girl-who-wishes-she-was-brave in me. Her latest release is standalone fantasy Shadows. Then Maggie meets Casimir, the most beautiful boy she has ever seen. He’s from Oldworld too—and he’s heard of Maggie’s stepfather, and has a guess about Val’s shadows. Maggie doesn’t want to know…until earth-shattering events force her to depend on Val and his shadows. And perhaps on her own heritage. Maggie is going through a rough patch. Her senior year is about to begin, and she’s looking forward to the school year (despite the dreaded Algebra class), because it means she won’t have to pretend to like (or attempt to avoid) her new stepfather, Val, for several hours of the day. Val creeps Maggie out. Perhaps because he’s from Oldworld, where they still have magic. Or perhaps it’s the shadows – ones that shouldn’t be there at all. When beautiful new guy Casimir shows up and knows Val by name and as a magician, it seems like the first of many coincidences that are just waiting to turn a flammable situation truly dangerous. Maggie will have to learn her strengths, identify her allies, and brace for chaos, lest it carry her and those she cares about into the void. When I mentioned Shadows in a Waiting on Wednesday post back at the beginning of the summer, I mistakenly called it urban fantasy. It’s more like suburban fantasy (ha! i crack myself up). What I mean is, yes, it’s contemporary-ish, but no, the story isn’t dependent on the character and characteristics of big city life. This book could be set in any town in America (or Newworld, as McKinley calls it). If I had to label it, I’d call it an alternate world contemporary fantasy. One of the ‘alternate world’ things about the book is obviously the magic, and in Newworld’s case, the intentional absence of magic. Others are the different history, the that’s-not-a-real-place names, and the vernacular. That last element is really where I felt the writing was weakest. McKinley keeps actual swearing at a minimum, but the euphemisms are at max limits. Even though the pacing is great and the internal dialogue was fine, the invented slang lowered quality of the reading experience. If I’m trying to puzzle out what ‘dreeping’ means in context (i assume bad, but how bad? boring? or majorly terrible? you see how it goes), I’m not paying as much attention to subtle character dynamics and action. And lest anyone think me unfair to the wholly different LANGUAGE usage – I liked the inclusion of Japanese! I really did. It was just the off-ness of the regular, English-language slang that killed my enthusiasm. My other minor quibble with the story was the wide character focus. For a young adult first-person narrative, there was a lot of time spent on the adults of the story and their problems. Which: valid. Adults should be allowed to have real lives and worries too, even in teen books. But perhaps because there were so many adults (as opposed to a primarily teenage cast), it felt like the book could have easily fit in the adult SFF category. Now that the complaint section is out of the way, I’ll get on with how much I like McKinley and her writing, okay? She does a spectacular job getting inside the heads of unconventional heroines with unusual interests. Maggie has a small, close-knit group of friends, but her main interests are animals (she works at a shelter) and origami. She’s not sure yet what she wants to do with her life. Magical chaos seems to want very hard to break out all around her, and Maggie’s responses are perhaps a little… odd. But you know, she makes sense. 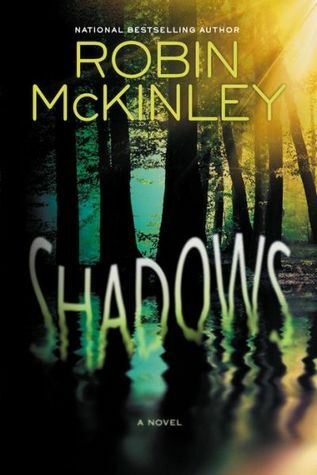 McKinley has created a rounded character with all of the little flaws that make us human, and has placed her in a real family, in a real world. It’s the sort of story that feels immediate and possible, despite a fantasy setting. Beyond characterization, there are the complicated family dynamics, swoony boys (because, well, YES), and an interesting magic and physics system that while not completely spelled-out-with-diagrams, makes an odd and beautiful sort of sense. I think the ease with which a reader can accept the settings and the emotion of a book lies somewhat with the reader, and somewhat with the author. In this case, the author has done her part with skill. In all, it’s a good book – and I can only blame myself for expecting fireworks. Recommended for: fans of Robin McKinley (especially the ones who like Sunshine best), those who loved Michelle Sagara’s necromancer novel Silence, and anyone interested in rounding out their young adult contemporary fantasy reading. I am getting this for Christmas!